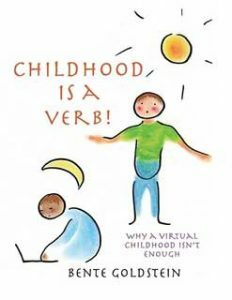 Childhood is a Verb is a gift to give to every parent and teacher you know from early childhood to college professor! Bente’s wisdom of the developing child and her decades of bringing joyful “will work” to children of all ages is brilliantly shared in a way that is practical, clear and easy to incorporate into daily life. It was a privilege to be a colleague of Bente’s in the 90s and so gratifying to see how her work has continued to serve children and families in such profound ways. If more children were offered the foundation Bente heralds in this book, what an amazing change would we see in our culture. This is an ideal book for a parenting book club or study guide for teachers and pure inspiration for others interested in offering farm education or other activities that engage the will of the child in such meaningful ways. Having worked with Bente as a teaching colleague, observed her parenting of three amazingly accomplished sons, and watched the development of her home schooling program evolve into her farm education program has been a true inspiration. Not every educator is able to share such deep, insightful knowledge in a way that is so readable, encouraging and understandable. Bente breaks each chapter down into short segments followed by a brief summary. It is perfectly laid out as a resource book where the reader can easily go back to a particular subject for fresh inspiration! What Bente offers here is not only the antidote we need to rescue childhood from the overarching virtual world; it also a remarkable testament to the value of including children in the real work of our households, schools and everyday life! She speaks to the effects of the virtual world, disconnecting rather than connecting us. More importantly, she offers clear and doable ways to introduce her suggestions to your children, your students and your family, with Chapter 27 “In a Nutshell” full of examples to follow. How refreshing to read a book that does not simply herald the challenges of our media-saturated and technology-dependent culture. Childhood is a Verb is a testament on how to create a balanced and joyful life for and with our children. Enjoy and share with your friends, family and colleagues!